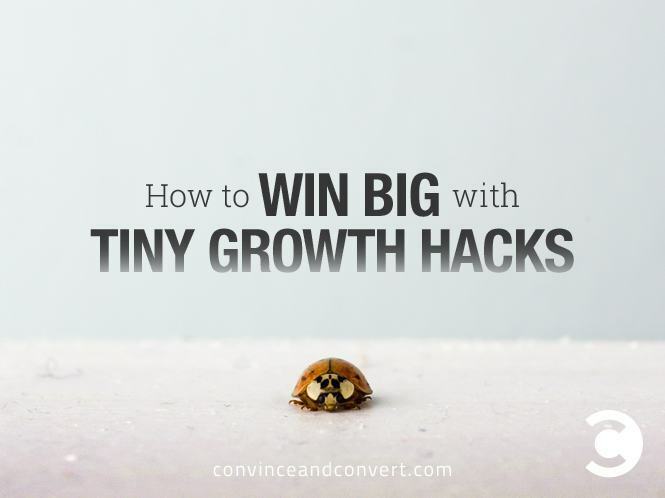 To a growth hacker, the search for high-impact marketing tactics can be chaotic and frustrating. A systematic approach to experimentation allows you to test many different strategies quickly, and then scale up the tactics that work. Every week, our agency runs a low-effort experiment designed to test a marketing tactic that is new to us. It might be a new outreach strategy, a landing page optimization, or a subscription to a new data source. Through this systematic process of weekly experimentation, we can decisively determine which tactics are worth more time and effort. Our most recent and successful tiny experiment focused on an outreach tactic for generating links to an online nursing community website. The website we were promoting is an online community for nurses. In addition to advice columns written by practicing nurses, it offers a comprehensive guide to nursing specialties and a blog about workplace challenges. Our goal was to build relationships with influencers in the nursing space and generate back links for our SEO campaigns. To achieve this goal, our strategy was to invite influencers in the nursing space to contribute a quote to an article we would publish on our nursing community website. We hypothesized that once these influencers were involved in the development of the article, they would be more likely to help promote it. We would measure success by the number of influencers who contributed a quote and the number of backlinks generated to the article. To test our hypothesis, we decided to develop an article on a topic that appeared quite frequently on the influencers’ blogs—job stress faced by new nurses—and incorporated quotes from our influencers. We call this an “Experts Weigh-In” article. Response rate target: 50% of contacts would respond to our initial outreach emails. Link rate target: 20% of the influencers we contact would publish a link to the final article. To achieve at least a 50% response rate from the influencers, we sent them a question that was concise, easy to answer quickly, and required low time commitment on their end. We only asked them for 60 seconds of their time. When we do email outreach, we measure success of the initial batch of emails by counting all responses, not just positive responses. This ensures that our outreach specialists get credit for hunting down the correct contact information and getting the contact to consider the “ask,” even if the contact declines to participate. Here’s how we conducted this experiment and our results. The first thing we needed to do was identify influencers in the nursing and healthcare space. We wanted to connect with influencers who were already active on digital media, so we started by finding the top nursing blogs and websites. We began with a quick Google search to find a list of nursing blogs, using search terms like “Top Nursing Blogs” or “Top Healthcare Blogs.” From there, we searched for lists of top education blogs and nursing websites with a high page rank. We defined a top blog as one that is recognized for being informative by nursing and healthcare publications. For instance, Keith Carlson’s blog Digital Doorway has been ranked as Pacific Medical Training’s “Best Nursing Site” of 2014. Also, a top blog must be updated on a bi-weekly basis at the least. Once we identified these sources, we investigated the author and assessed their social media profiles for factors such as followers, post frequency, and Klout score. If the influencer had a top blog, was active on social media, and had ever been featured on another website, they became a target for our outreach. To be considered “active” on social media, the influencer must have an updated social profile and post at a minimum of three times a week. We identified 13 bloggers, motivational speakers, and entrepreneurial nurses who were active on social media with insightful blogs or personal websites. We only needed to identify 13 target influencers to run this test, which was intended to be small. Once we found our 13 “experts,” we needed to come up with the right question to ask. Influencers are flooded with outreach on a daily basis, so they are likely to ignore most requests. We knew that our first outreach email, which we call an “ask email,” needed to be personal for each influencer so they would be more compelled to respond. I am an avid reader of your career advice on Nurse.com as well as your advice to nurses on your website! I especially loved your latest article on the importance of nurses knowing their limits and knowing when to take a break from frequent job stress. What advice would you give a new nurse about dealing with on the job stress? 2 or 3 sentences are all I need. My article will appear on the blog of [WEBSITE].com. Thank you in advance for your help! 13 influencers received a custom email based on the above template. Of these, 77% responded and contributed a quote to our article. Of the three influencers who did not answer, we sent a follow-up email one week later. We did not receive a response to the follow-up email and took that as a sign that they did not want to participate. Once the influencer quotes were collected and the article was finished, we sent the published link to our influencers asking if they would link to it on their blog. We aimed to get backlinks from half of these influencers. Would you be able to link this on your website/blog? Please let me know what you think about the article! We sent this email to the 10 influencers who had contributed a quote. Among these, half (five influencers) linked to the article to their personal websites and promoted it on social media, reaching our goal. Overall, this resulted in a link rate of 38.5% (five out of our 13 total influencers). The results for this experiment were very positive: Our link rate result of 38.5% far exceeded our target of 20%, and our response rate of 77% also exceeded our target of 50%. Furthermore, we opened the door to a deeper relationship with the influencers. One of the influencers offered to contribute future content to our website before we even had a chance to ask. We were thrilled to work with her further and continue to develop our relationship. Don’t Ask for Much: Your first outreach email should have a clear and brief request that takes little of the influencer’s time and is easy for them to do. Make It Personal: Customize your email to match the interests and viewpoints of each influencer. Mass Emails Don’t Work: Contact each influencer individually. Be Direct: Influencers are more likely to respond to a direct email than a contact form on their website. Self-Promotion: Many of the influencers we contacted were happy to help promote an article they were featured in. Follow-Up: Once you connect with an influencer, continue cultivating the relationship to build on your previous collaboration. Now that we’ve identified a strategy that was successful with 13 influencers, we can scale it up to 200 influencers to make a bigger impact. Based on our previous results, we’d expect to generate 77 links from 200 contacts if we can maintain a link rate of 38.5% as we scale. This means we need to do a lot more prospecting for contacts! But finding more of the “right” contacts can be difficult. Sometimes a tactic simply doesn’t scale because we exhaust all of our opportunities during our initial experiment. The first step, then, is to find the “right” contacts by using an influencer prospecting software. We currently use BuzzSumo to identify influencers. Once we find our 200 influencer prospects, we move the campaign to a CRM system, such as BuzzStream. We have used BuzzStream extensively for our link building campaigns and have found it to be very useful for keeping track of contact info, email chains, and our progress with each contact. BuzzStream is also helpful when multiple people coordinate outreach with each other. One missing feature in BuzzStream, however, is that it doesn’t track if and when emails were opened, which is a useful metric for assessing the effectiveness of your subject line and the best days and times for sending emails. The results achieved at scale can vary. But if you systematically test marketing tactics and scale them up when appropriate, you’ll find some that perform well at scale. Remember: start with a low-effort experiment, record all relevant learnings, and scale when appropriate. Brittany Pennellatore is a digital marketing analyst at Chimaera Labs . She manages outreach, web analytics, and social media projects for clients in the tech space.